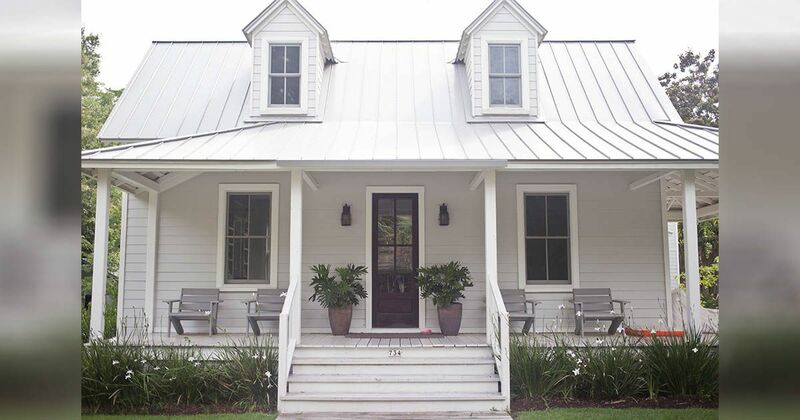 South Carolina has its fair share of beautiful country homes, and a perfect example is this wonderful Charleston Farmhouse. 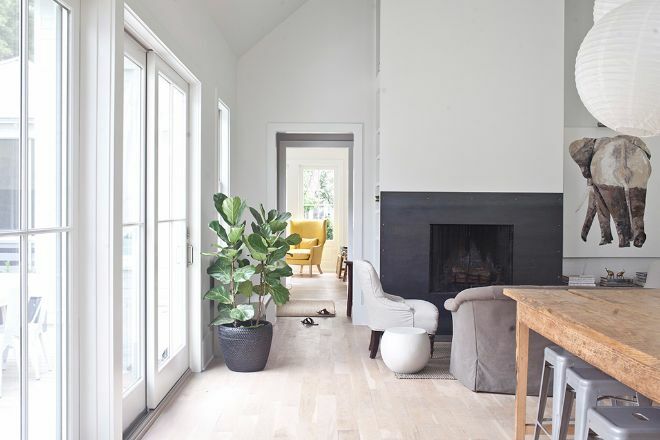 When it was originally purchased, the home was only 450 square feet. Architect Heather A. Wilson eventually expanded on the house and made sure the interior design flexed its country heritage. A rear view of the home shows some of the extensions that were added to the original property. 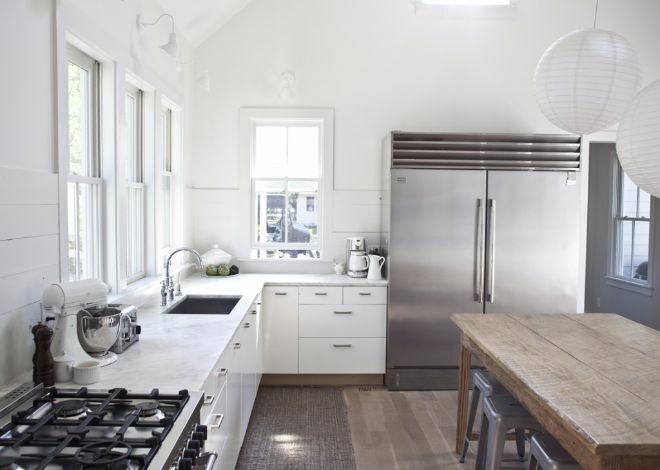 The kitchen is any homeowner's dream -- lots of space, an oversized refrigerator, and a wood-topped island for preparing meals. Not far from the kitchen is a family den. Large windows and doors allow access to the sides and rear of the house. The study features wonderfully aged wooden tables with benches. 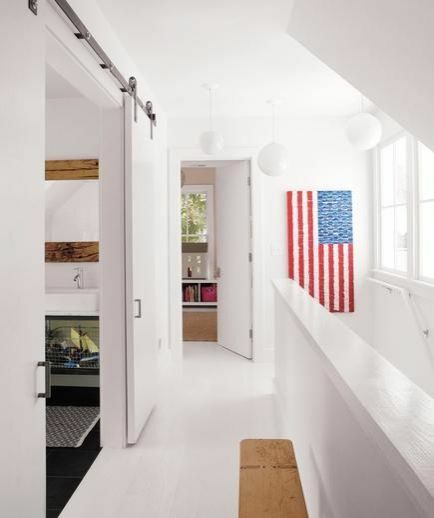 This view of the upstairs hallway shows the barn-style sliding doors that have become popular in newer country homes. 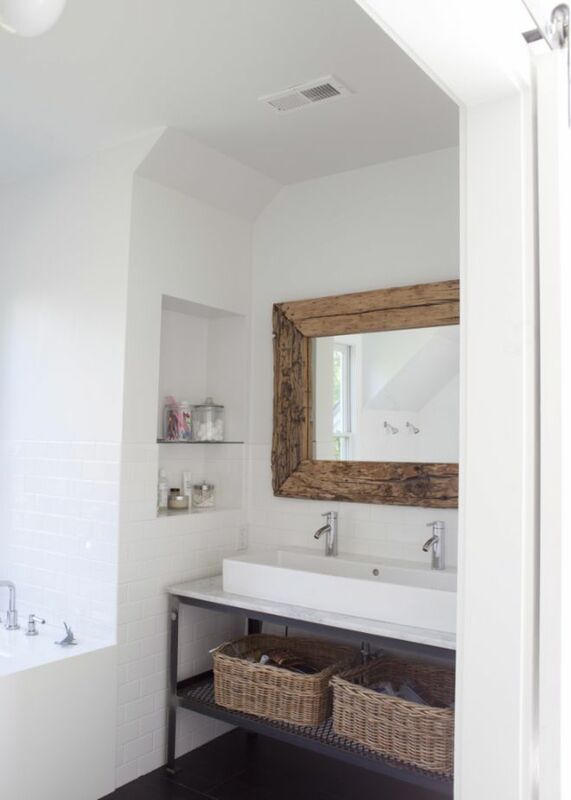 The bathroom features a simple white tile design and a distressed wood-framed mirror serves to add color to the room. 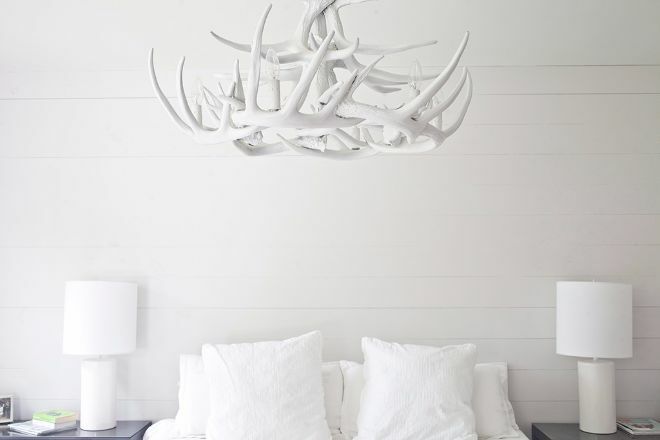 The bedroom features an antler chandelier that has been painted white to blend perfectly with the rest of the room. 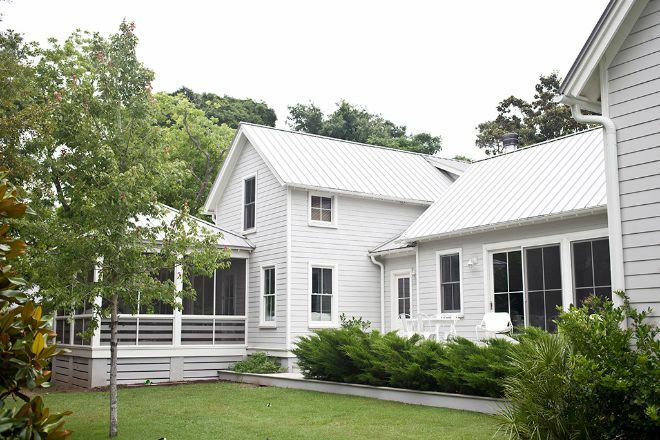 It's interesting to see how classic Farmhouse designs are inspiring a whole new generation of homes and homeowners! If you liked this house, make sure to share it with your friends!